With a prime position adjoining hip Santa Catalina, but with many more properties ripe for development, it is now Palma’s Son Espanyolet neighbourhood that is undergoing transformation. And one fine example of the area’s evolution can be found in this Plywood House project, by local SMS Architects. One of a line of typical townhouses, the facade of this three-floor property immediately catches the eye, not for its flashiness but rather the opposite. 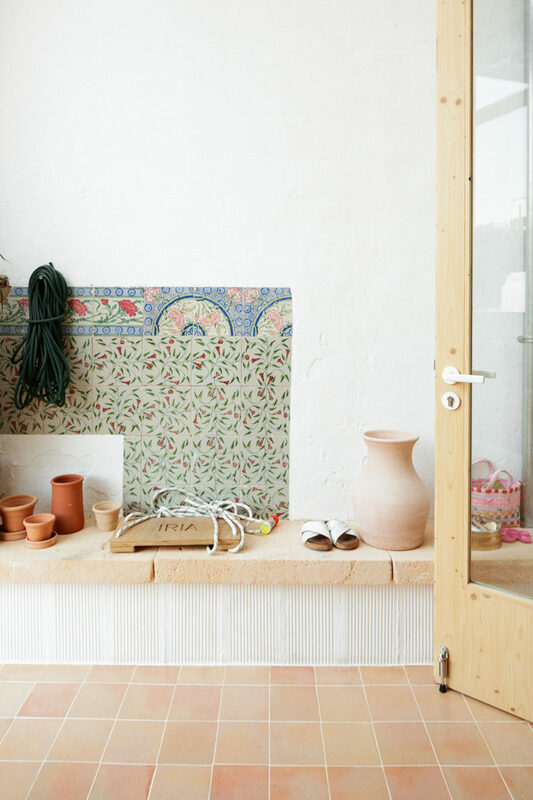 It’s simple without being minimalist, almost with a touch of the naïf, where an unlikely combination of glazed terracotta tiles, exposed sandstone brick, and mint green doors and shutters somehow just works. The house design was largely led by necessity, requiring a lightweight solution to extending the original ground floor with a floor above, while maintaining its base structure, to not overload the original stone walls. This has resulted in the most striking aspect of the property – a series of interlocking ceiling structures formed from plywood. The lack of finish shows its structural geometry, linking it to the coffered ceiling ornamentation characteristic of Palma old town, albeit its industrialised 21st-century incarnation. 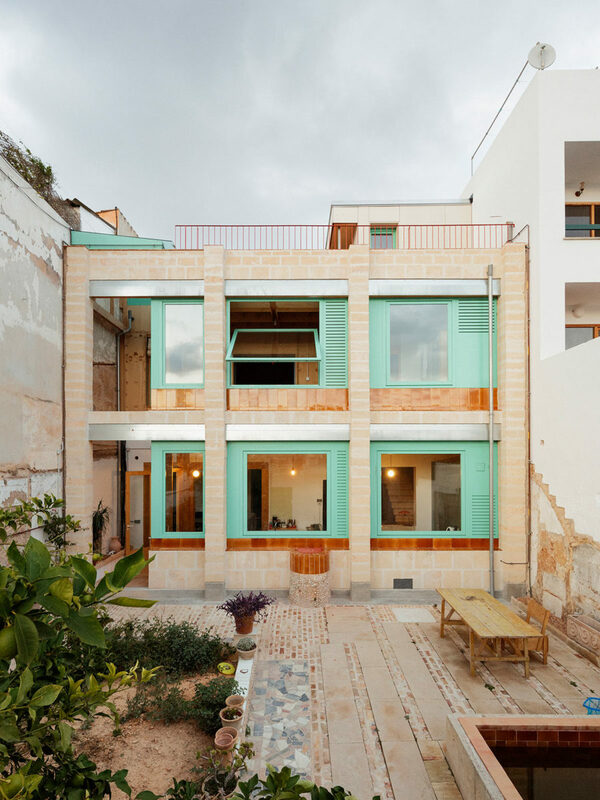 Untreated, prefabricated internal structures also produce a deliberate feeling of rawness, creating a striking contrast with more familiar, traditionally Mallorcan elements such as carved hardwood doors and original patterned tiling. In areas where it has been necessary to replace the original flooring, additional concrete tiling – sourced from local manufacturers – create playful lattices of diamond forms. The project established various ‘atmospheric zones’ inside the house. There are rooms with diffused light, with morning light, facing north-east and south-west. Some rooms look to an interior patio, others get afternoon sun and even views out to hilltop Bellver Castle. Some spaces have thermal mass that are cooler in summer, while others with less can be easily heated in winter, allowing for seasonal migration inside the home. 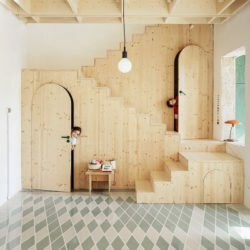 The result is a property where modern wood-cutting techniques have provided a structural solution as well as defined the character of the interiors. The decision to leave them in their ‘raw’ state is inspired, cleverly juxtaposed with original elements, and creating a family-friendly home as warmly inviting as it is charmingly original.